AN ISOMETRIC SQUAT is challenging enough—putting yourself in that holding pattern forces the quads to fire hard to hold your body still. 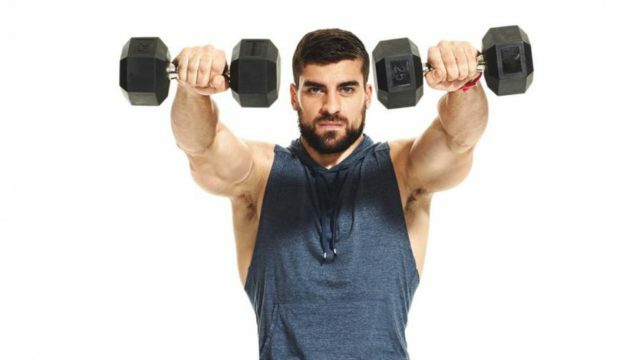 With squatdumbbell punches, though, you’re adding an upper-body action in the form of a 1-2 dumbbell punch (or, slightly more easily, a front raise) to put your shoulders and core into the ring, too. How do you do a squat dumbbell punch? Hold a dumbbell in each hand, goblet-style, in front of your chest. Squat deeply, sending your hips back and putting the weight in your heels, while keeping your chest up. With slow control, and while holding position at the bottom of your squat, throw a controlled jab-cross combo, rotating at the waist as you extend each weight out in front of you. Return both hands to the goblet hold and squeeze the glutes as you stand back up. 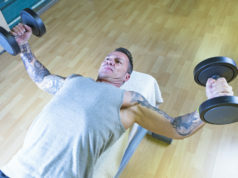 For a slightly easier version of the move, the dumbbell front raise, start by holding the dumbbells down by your sides. Lower yourself into an isometric squat hold as you lift your hands up in a neutral grip and with straight arms in front of you. Hold everything still for a beat before lowering your arms and you engaging your glutes as you stand back up. What’s so great about the squat dumbbell punch? Holding the squat requires the quads—which normally handle the eccentric or lowering action—to kick into overdrive. Adding the punch with rotation makes the shoulders work (because the weights end up so far away from the body) and force the core to stabilize so you don’t lose the squat. 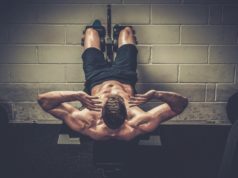 The front raise, even without the twisting and uneven movement of the punches, also engages the shoulders and core, albeit to a lesser extent. Superset the squat dumbbell punch with heavy backloaded squats or military presses (or a circuit of all three! ), or mix it into a HITT circuit with other full body moves, such as burpees or renegade rows.